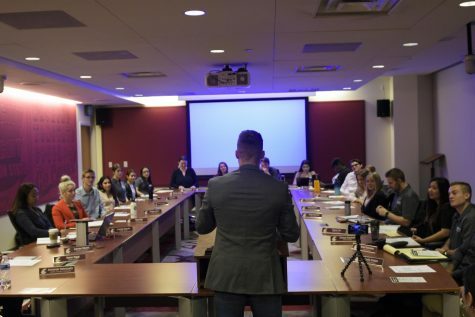 The 47th ASWSU Senate confirmed several committee chairs, many of which hope to bring in new members, at its last meeting of the year Wednesday night. 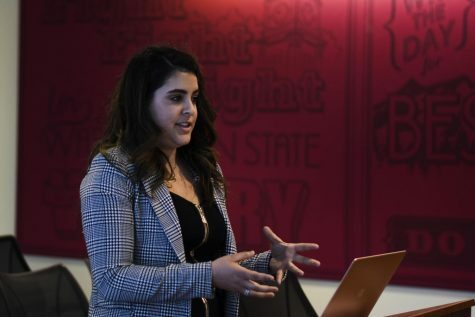 Nallely Sanchez-Aguilar and Ricardo Aquino, co-chairs of Movimiento Estudiantil Chicano de Aztlan, said their priorities for the coming year involve retaining and providing resources for members. Aquino said MEChA provides a valuable service for the community. Sanchez-Aguilar said she is now the oldest person on the committee, because everyone else has moved on. “To me, being a mentor and a role model has always been a big thing,” she said. 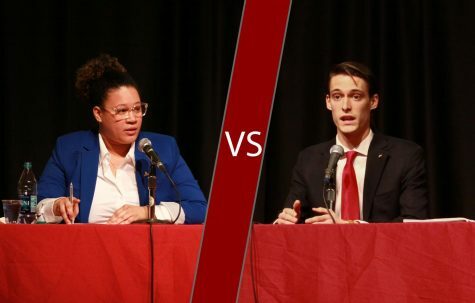 Senators confirmed the chairs for six committees, including the International Students Council, Gender and Sexuality Alliance, Environmental Sustainability Alliance, Kuh-Ah-Mah and Issues and Forums. All chairs were confirmed unanimously. 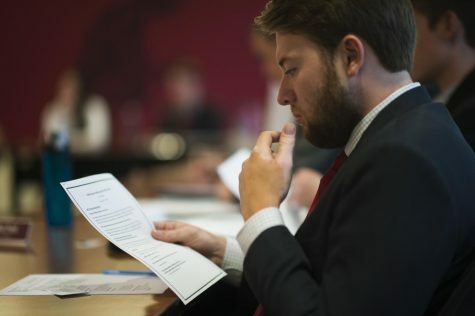 ESA Chair Trevor Alkire said he thinks the committee has enough visibility across campus, but that it is difficult to get people signed up. 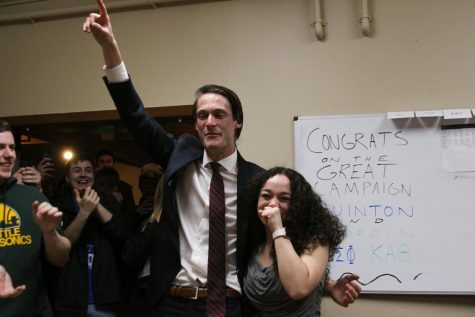 Alkire said in the coming year he will be working on several projects to make students aware of global environmental issues, as well as to make change locally, such as stream cleanups and a compost program. 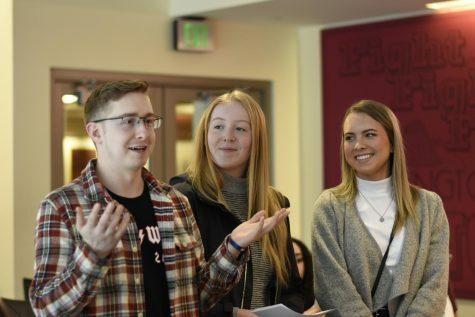 He said many students may be unaware of environmental issues, since there are no beaches to clean up and no signs of polluted air around the Palouse. 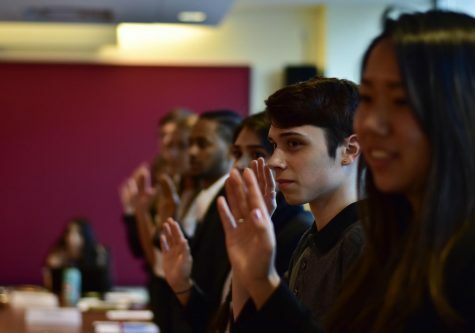 The Senate confirmed ISC chair Ximeng Li for a second year. She said she loves working with international students. GSA Chair Kimberly McDowell said the biggest issue the committee faces is recruiting and retaining new members. McDowell said in the past year, she helped GSA put on many events. 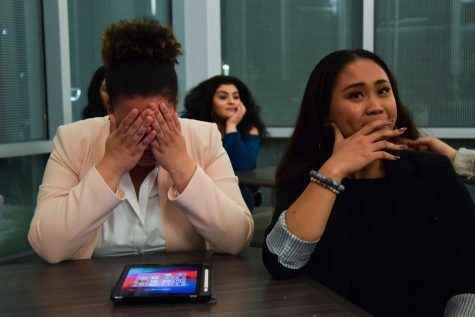 Jacklyn Brendible and Chantel Hill, co-chairs of Kuh-Ah-Mah, were originally confirmed to their positions during the spring semester and decided to take the position again for next year. Brendible said their committee also struggles with retention and student awareness. 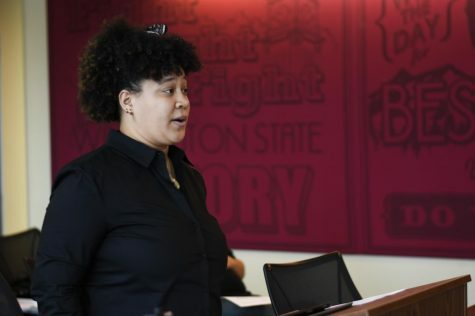 “We’re trying different ways to let the student body know what Kuh-Ah-Mah is and what it means,” she said. Issues and Forums Chair Emma Taylor said the committee is working on a new mission statement. She said she wants to make people more aware of the group, and that they are committed to discussing a diverse range of issues, not just politics. Taylor said her committee also struggles with membership.